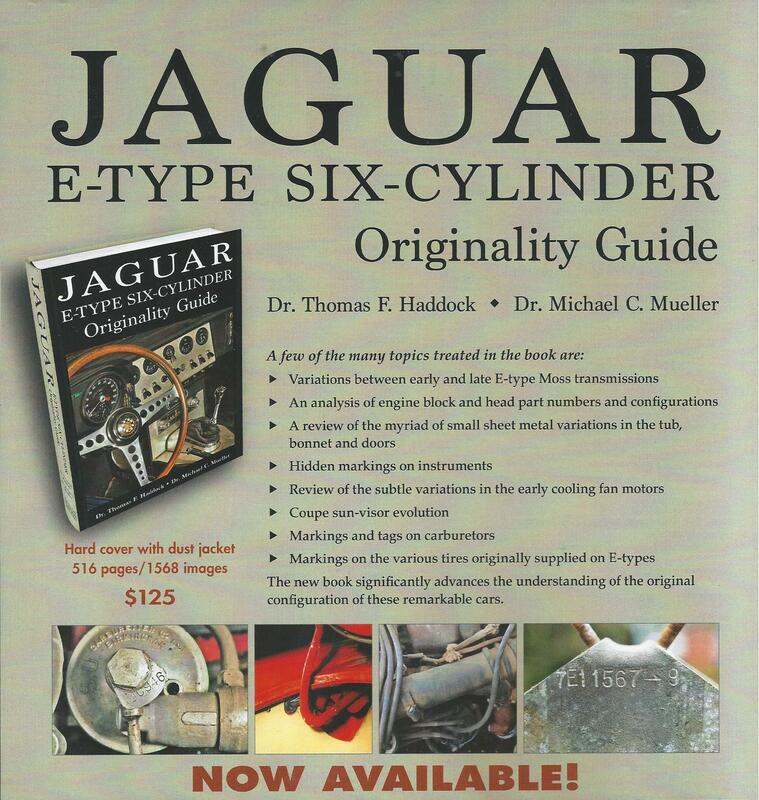 This is the continued work of Dr. Haddock who has two previous editions of the E-Type Originality guide in circulation. Previous editions of his work escalated in price once out of print. This work is simply the first two works on steroids. It is granular in detail down to the correct original wheel weights, minor casting changes, hidden identification numbers and factory markings. We are quite sure some of these documented changes were not realized even by the maker. Both authors are proud JCNA members with Dr. Mueller serving on the JCNA rules committee (JCRC). JCNA is proud that the publisher has given us this first opportunity to have this necessary and seminal work! Offered again to JCNA members at significant savings. ORDER YOURS NOW!! !